Fig. 1. 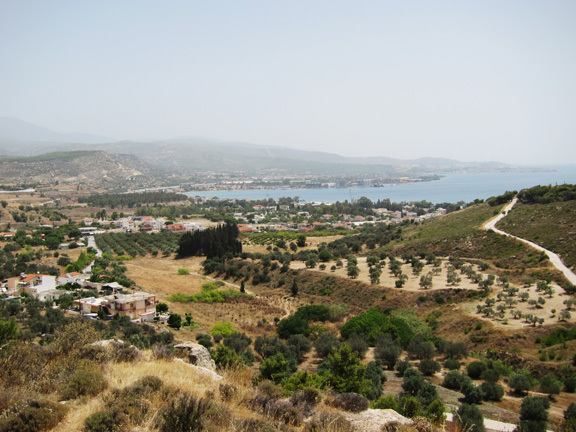 The steep slope of the Isthmus of Corinth as it appears from the Corinthian Gulf. Fig. 2. 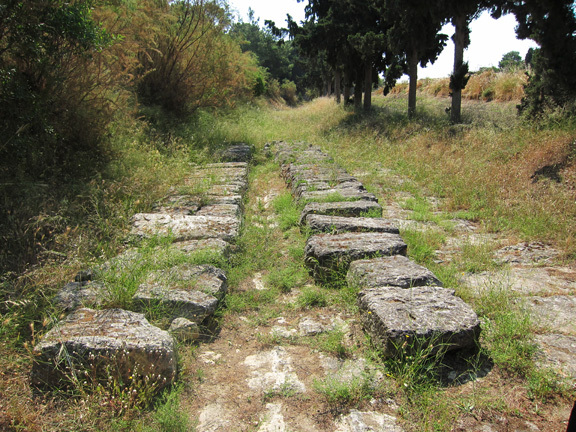 The damaged remains of the diolkos today, sectors C–E. Fig. 3. 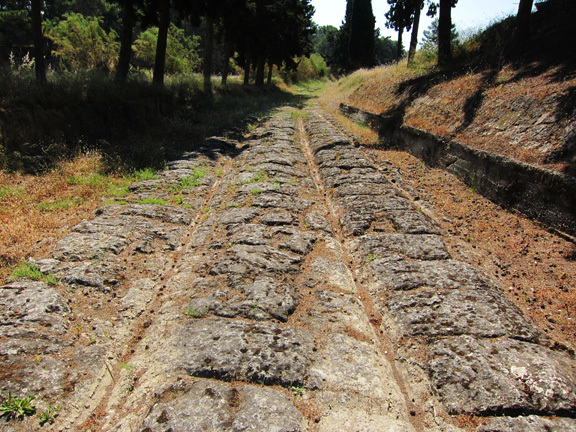 Sector K on the Ionian side of the canal with its deep cut grooves. Fig. 4. The low parallel walls in sector K, apparently no longer in the place of original discovery. Fig. 5. 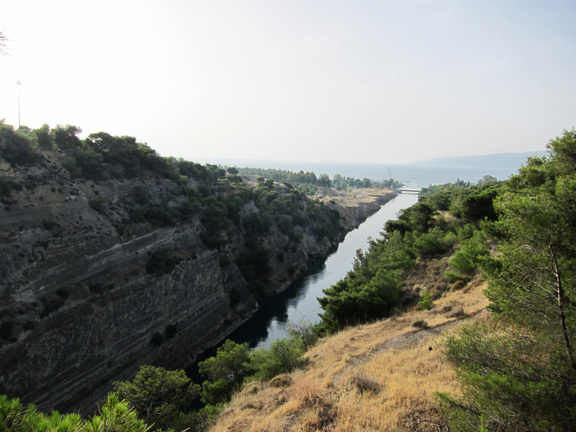 The steep descent to the Saronic Gulf. This image shows why the road would not have followed the line of the canal directly. Fig. 6. 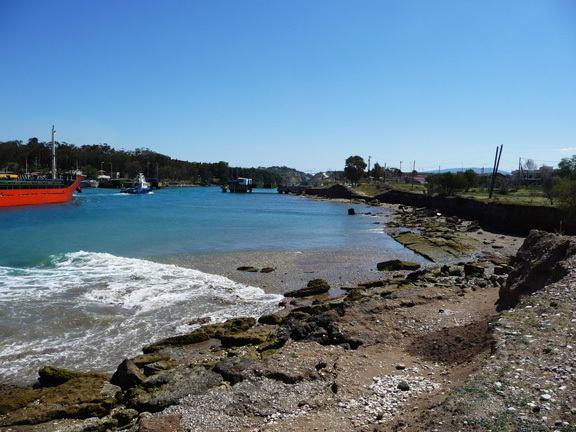 Kalamaki Bay, the location of ancient Schoinos, viewed from the site of Rachi near Isthmia. Fig. 7. 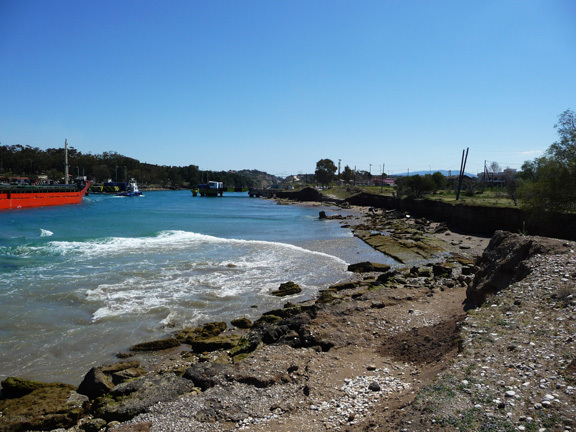 The diolkos has suffered damage for a half century as a result of exposure to continuous wave action from canal traffic. 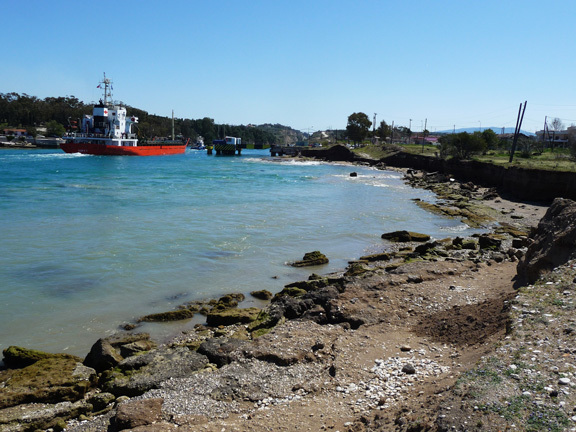 This sequence from 2009 captures a wave impacting the road and shows water muddied by undercut sediments (S. Wachsmann). Fig. 8. 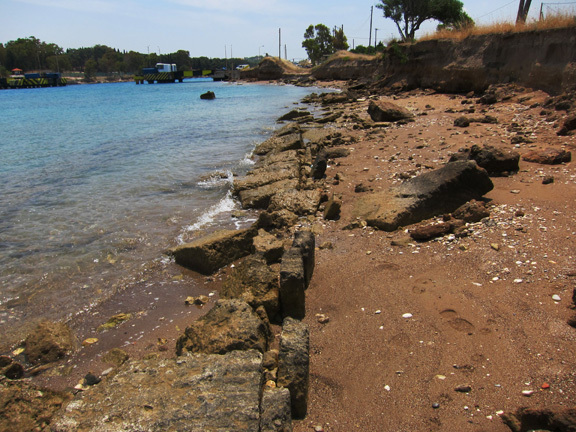 The diolkos being damaged through exposure to continuous wave action from canal traffic (S. Wachsmann). Fig. 9. 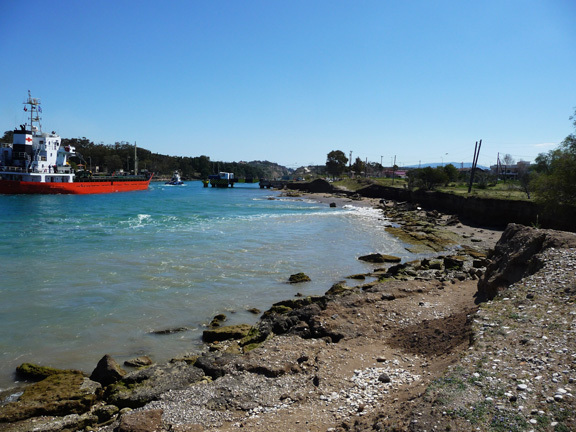 The diolkos being damaged through exposure to continuous wave action from canal traffic (S. Wachsmann). Fig. 10. 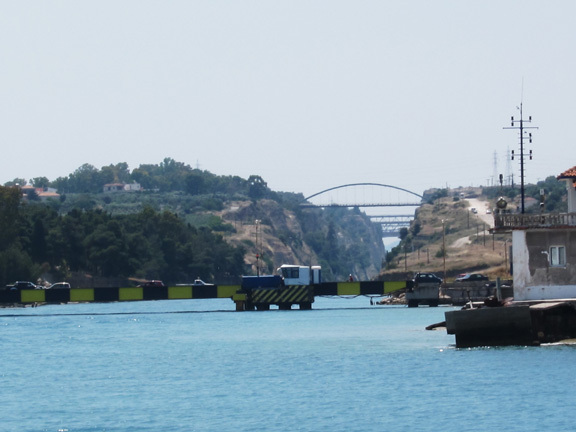 The diolkos being damaged through exposure to continuous wave action from canal traffic (S. Wachsmann). Fig. 11. 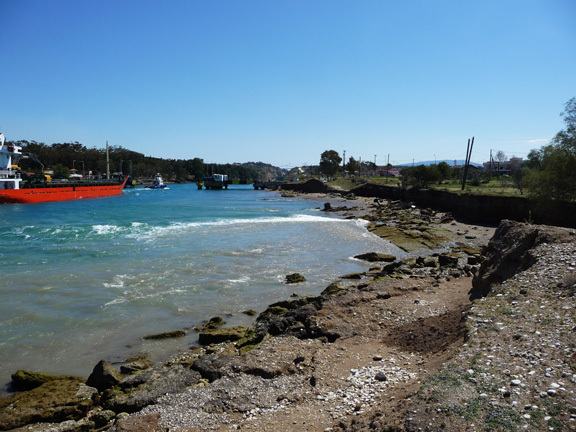 The diolkos being damaged through exposure to continuous wave action from canal traffic (S. Wachsmann).